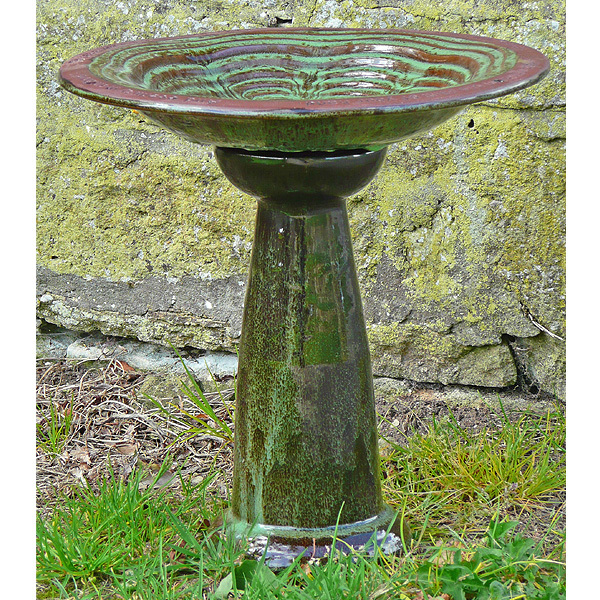 Very happy with bird bath, nice detailing on dish and wide lip for birds to perch and drink. 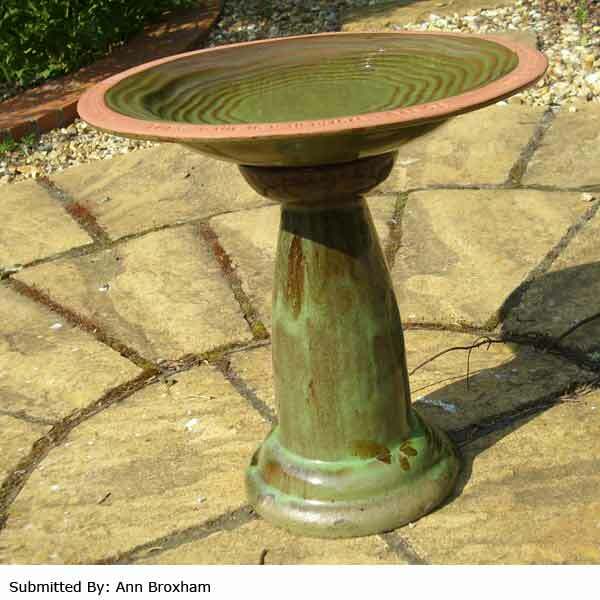 i am delighted with this birdbath as downsized recently and missed the wild birds. 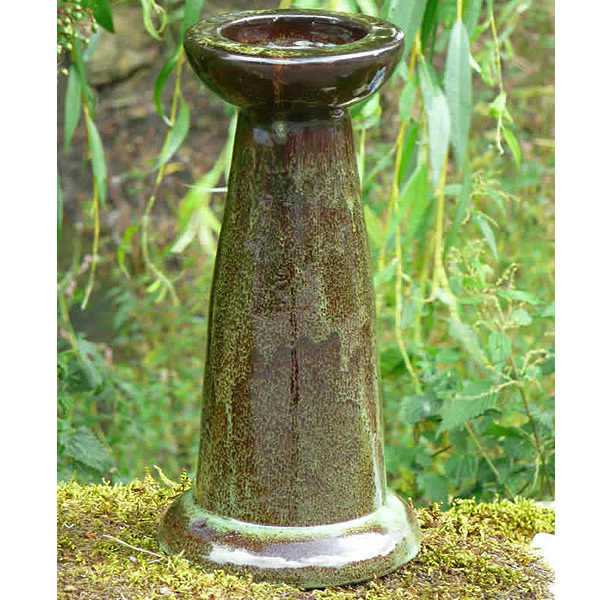 I am glad i have found this site Greenfingers. 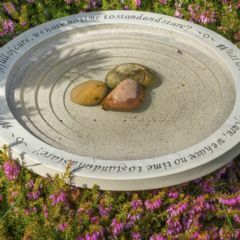 My garden is now small (as downsized recently] and |I therefore have to be very particular in anything I buy for my limited small garden.I have found the service (both on telephone and on internet) second to none.Many thanks. The bath looked just as it did in the photo and is in use already. 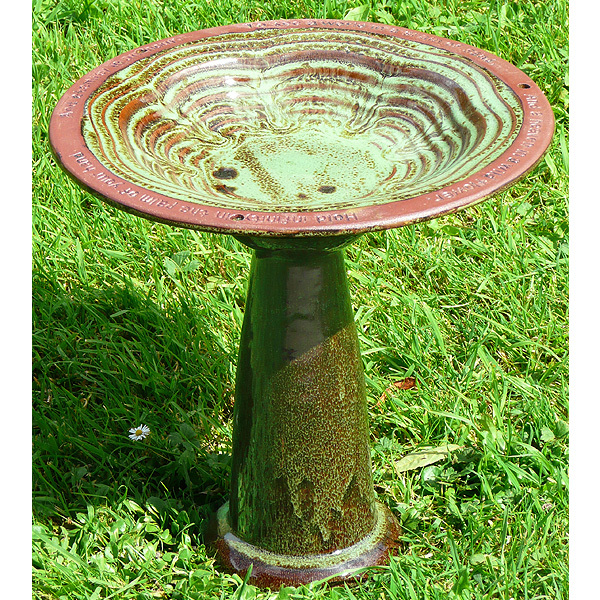 Was an instant hit with the birds in the garden especially the smaller ones who bathed as well as drank from it. My robin has adopted it as their main venue on visits apart from the feeding station. 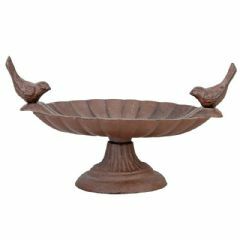 The bird bath stand looked great with the bird bath and a set of legs were included to keep it off the ground in winter weather. 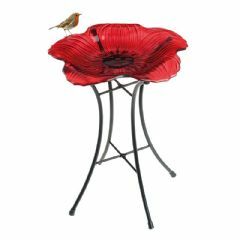 I can't have the matching bird bath on the ground so this stand is perfect. 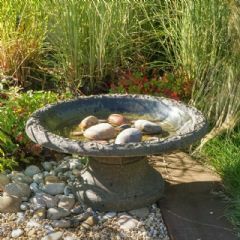 In my garden the bird bath is in the middle of a circular lawn area so realistically the bird bath needed to be cemented to this base because I would definitely knock the bath off the stand. 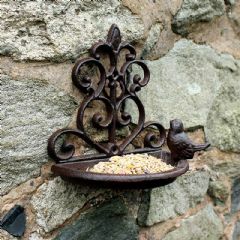 Fits well with bath and a pleasure to have in the garden, lovely clean birds! 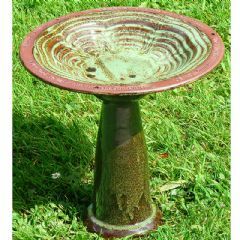 This and the bowl were bought as a gift for my son I chose it because it was hand made and different from all the others on offer. It arrived quickly well packaged so all intact. It looks great good quality at a good price and very reasonable shipping charge. 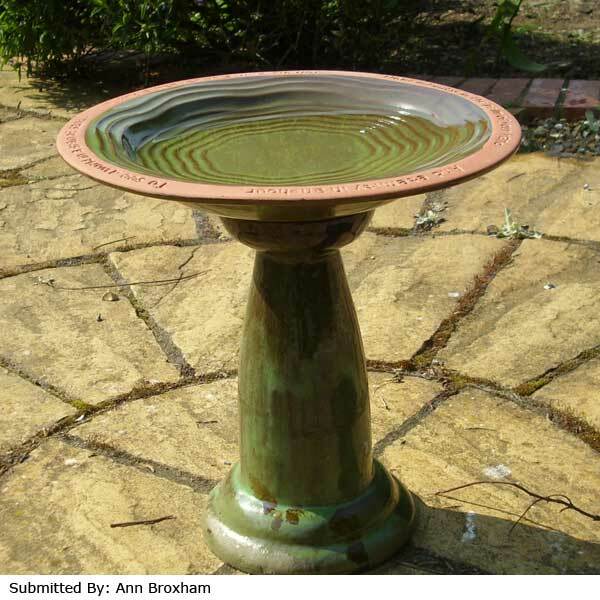 This is more expensive from other suppliers Can't comment on how it will stand up to the weather but although not very tall its a lovely gift with the bowl.